Kirk Budhooram, born and bred in San Fernando, Trinidad, always loved telling stories. At the age of 14, he had written his first novel a murder mystery- entitled The Festival which was made available on Amazon.com and soon after, in RIK Bookstores. In 2003, his second novel, Ibis Agents, was published. With a growing interest in expanding his creative reach in 2005, Kirk made his first short film, Greedy Friend, which he himself had written using the limited technical resources at his disposal at the time. His second film production done with his friends, Herman’s Tales, was produced over 9 episodes. This won them the People’s Choice Award: Best short Film at the Trinidad & Tobago Film Festival 2007. Kirk also went on to form KB Productions, to produce movies and can be seen at www.youtube.com/kirkbud. In not stopping short to display further talents, in 2009 Kirk acted as the Shopkeeper in the UNICEF/MTV movie, Tribes. This was directed by Ras Kassa (Jamaica), produced by Sonya Wells (USA) and Lisa Wickham (Trinidad & Tobago). The entire movie was shot in Trinidad. It aired online in December 2009. Further acting credits include starring in a local feature film, Nick Attin’s Little Boy Blue. 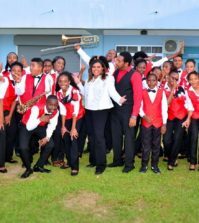 As a member of the Strolling Players under the guidance of Mr. Freddie Kissoon, he has performed on stage on many occasions including in Antigua, and St. Vincent. 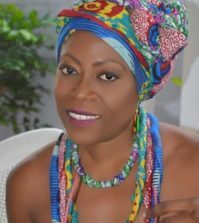 Kirk currently holds a Masters in Fine Arts (Creative Writing) and has recently published by The Caribbean Writer Journal (USVI), SX Salon/Small Axe Project and Moko Magazine. Started Cool Your Head-Open Mic & Film with his wife Kavita Ganness. Winning the David Hough Literary Award 2016 for his short story, The Last Day of School since published in The Caribbean Writers Journal Vol 30. The establishment of a YouTube channel entitled The Kirk and Kav Channel. 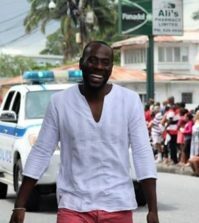 Kirk Budhooram hopes that his writing and films would one day inspire Trinidad & Tobago and the Caribbean to see themselves as peaceful, positive and independent thinkers, capable of accomplishing great feats to move the region and its people forward.